How to prevent sleep during studies ? Sleeping is a common process, our body needs it naturally. But it is very important to consider when to sleep? where to sleep? and how long to sleep? . Sleeping is necessary for a healthy body. But sleeping in unnecessary times may spoil our health, wealth and studies. Doctors advise that the sleeping at improper timings may lead for obesity during the students days. What do you understand from the above examples ? Sleeping is right but sleeping in wrong place, at the wrong time is absolutely wrong. There are three factors determines our sleep in both right or wrong times. Health is the prime factor which decides our sleep. Daily five to seven hours sleep is enough for a normal student. If you are a student with alergy, asthma you need to sleep more. So that you should not waste even a single minute and use your healthy times effectively. 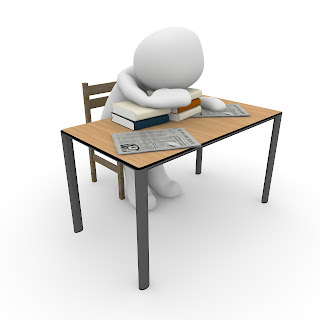 Over weight also cause some sleep disorders.Using the time effectively, they too can improve their study habits. 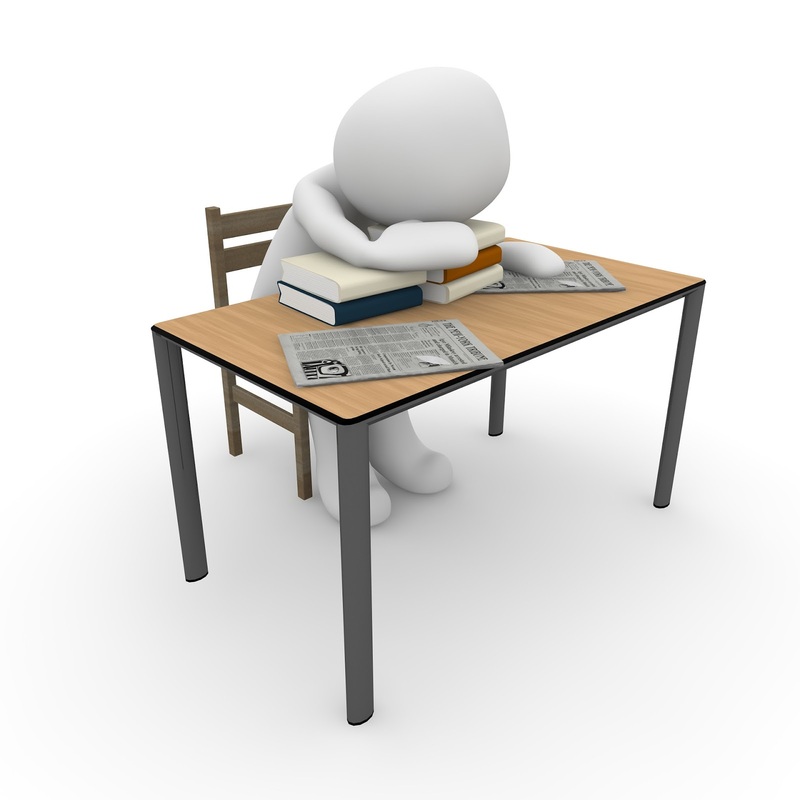 Some students have sleep disorders they should use the available time effectively for studying. If your are a student who doesn't have the above said problems you are healthy and you can follow all the tips given here. If you are studying in the morning, take some light breakfast, some light snacks if it is in the evening. Avoid eating heavy meals as they can make your body and brain sluggish and this will lead you to make you slow or feel sleepy. During your study hours take juicy fruits like grapes and oranges. Sit in a straight position(Sit on a chair with flat back). Always try to sit on a uncomfortable desk. Comfortable cushion chair or bed may invite you to sleep. Strictly avoid lying position as it instructs your brain to do two contrary tasks to sleep as well as to study. Finally, the instruction to sleep will win. Take notes while you read. It will give some physical work to your body and keep your brain afresh. Change your topic if you feel sleepy.Read some interesting subjects whenever you feel sleepy. Change Your Siting positions frequently. It will stimulate your concentration level. Whatever the position can be but do not lean from your straight pose. Walk and study for some time. The physical activity caused by this will keep afresh your brain. Read loud whenever possible.But be careful it may not disturb your neighbour. Avoid reading continuously with out break which will cause semi consciousness ( a hypnotic effect) and you can not understand anything in this process.After every one hour relax yourself for at least 10 minutes. You can swallow the things you studied during the last session. Avoid keeping your eyes too much close to your books. It will lead you to fall asleep. Do some easy exercises if you feel sleepy while studying. Take small breaks during studies. Take 10 minutes brake during 1 hour continuous study. Drink some hot drinks in your study breaks. Take a cold shower if your health is normal of Wash your face with some cold water. Drink water eventually, so that you have to hit the restroom often. It will avoid sleepy mood. And water is good for health. Study in groups to avoid sleep, it really works. If you are in hostel, join with the students who study sincerely. It will keep you away from sleep. If you are feeling sleepy so much and could not control yourself, take a short time sleep (cat nap) Sleep for 15 mins to 30 mins. Use a good working Alarm Clock for your help and be rigid in keeping the alarm clock little away from your bed, so that you may not get tempted to switch it off and sleep again.